Sleep is arguably the most important thing that human beings do. Sleep provides the chance for our bodies to regenerate cells, helps us to form memories, allows our minds to reset and process everything that has happened over the previous day; in a nutshell, sleep is just as important as eating, drinking, and staying warm when it comes to maintaining human health. Given the importance of sleep, doing what you can to maximize the benefits sleep can provide – and improve your ability to get a good’s night rest – is a sensible choice for your overall health and well-being. 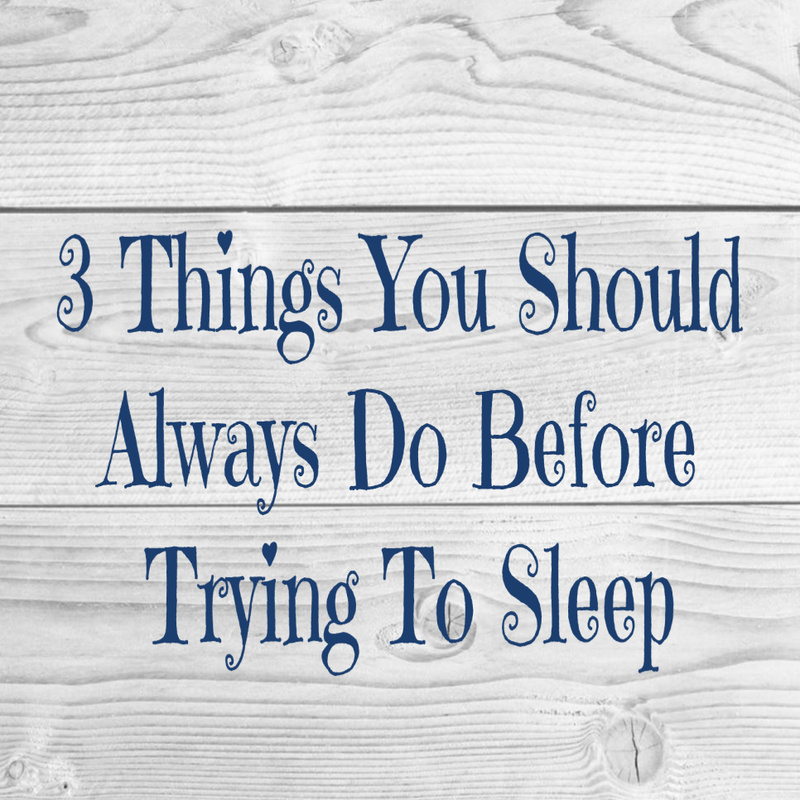 Below, we have detailed three things that you should try to do every night before attempting to sleep; habits and behaviors so beneficial that, even if you’re tired and just want to close your eyes, are still very much worth doing. You’re laying down, just drifting off to sleep, and then: BAM!, you remember something you have to do, an errand you need to run, or something you may have forgotten – and your chances of getting to sleep any time soon are immediately ruined. To prevent the above scenario, before attempting to sleep, spend five minutes clearing your mind of essential thoughts and tasks, and recording mental notes that you have made during the day. The simple act of writing everything down is relaxing and reassuring, and helps to ensure that your mind will be able to effectively “power down” and allow you to slip into slumber without any unfortunate interruptions. Most women know that they should remove their makeup before bed, which remains eternally true – even if it’s just a quick wipe down with micellar water on a pad, you’ll still be better off than you would be if you slept in your makeup. However, it’s also helpful to use long-lasting products such as a night oil serum in order to give your skin a boost while you sleep. Night-time provides a long, unbroken period of time where there is no risk of products becoming dislodged, sweated off, or disturbed by pollutants in the air, so it’s always best to focus your skincare efforts on overnight treatments rather than daytime products. If you sleep for eight hours per night, as is recommended, then you will not be consuming any fluids for eight solid hours; which, for most of us, is by far the longest stretch of fluid-free time throughout the day. As a result, most people wake up feeling ever-so-slightly dehydrated, which can contribute to feelings of morning grogginess. Worse yet, the issue is worsened further when people immediately drink a cup of coffee soon after waking; coffee contains caffeine, which is a known dehydrator. It’s therefore best to pour a glass of water before you go to bed and leave it on your nightstand overnight. When morning arrives, you can immediately begin to rehydrate yourself without even needing to get out of bed. By doing the above, you can be sure that you will get the most from your sleep every single night – enjoy! ← Online Or Offline: Where Will You Progress?